All’s well that starts well – if that’s true, with our breakfast your holiday could not be any better. Savour our rich breakfast buffet slowly: fresh bread, crunchy croissants, local cured meats and cheeses, seasonal fresh fruit and much more await you in the morning. Add a tasty juice, tea or coffee and you will be ready to start a memorable day of holiday. Discover our local products and their rich genuineness. 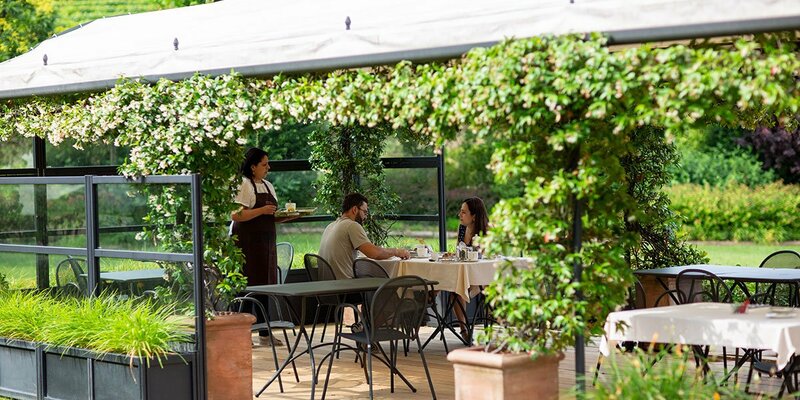 You can choose where to have breakfast: in the beautifully decorated dining room or on the terrace, from which you can enjoy a wonderful view on the garden. In the morning, you will find a rich breakfast buffet with genuine products prepared by your hostess. There’s nothing better than starting the day by sipping a good coffee while seated in the big dining room, from which you can relish the beautiful view on the hills and vineyards, anticipating the pleasure of the day that just started.